There is a time and place for everything, and choices are made easier when you understand what you’re trying to accomplish, especially with nascent application security programs. 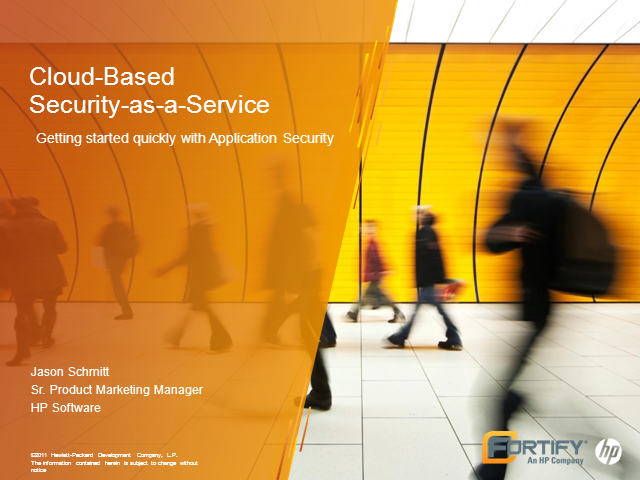 Cloud-based security-as-a-service offers a flexible, affordable and quick way to jumpstart application security testing, but you have to begin such a journey with an end in mind. This session will talk about the advantages of using cloud-based security-as-a-service in such a way that you can build the foundations for a successful software security assurance program that builds a positive security culture and makes lasting, systemic changes to the way you develop secure software.